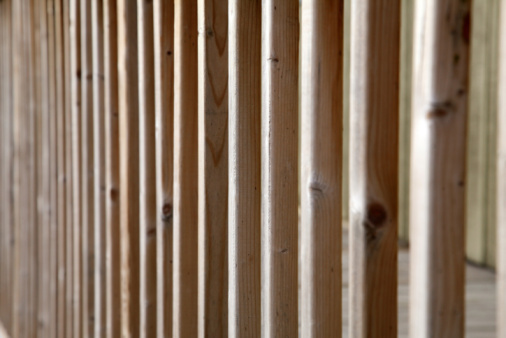 Calculating even spacing is an essential carpentry technique that you might need for things like fence pickets, railing balusters, or decking planks. The calculations are simple and require only basic math, but often it takes a bit of trial and error to find the best fit for your material and installation. And it always helps to sketch the layout on paper, so you can actually count the number of pieces and spaces. There are two levels of calculation: Use the basic calculation if you know how many pieces you will install and just need to find a uniform spacing width. Use the unit calculation if you must have a specific spacing width, such as when meeting building code requirements for balusters on handrails. Measure the width of your picket, baluster or board material. For this example, assume you are installing fence pickets. Because lumber sizes tend to vary, it's a good idea to measure multiple pieces and use an average dimension. For example, if several pieces measure 2 7/8 inches and several measure 3 1/8 inches, use an average of 3 inches. Multiply the individual picket width by the number of pickets to find the total area that will be occupied by the pickets. Measure the total width of the installation area. 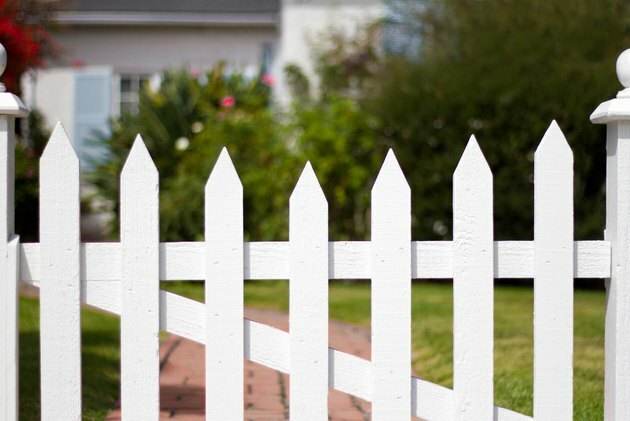 For example, if your fence posts are installed about 6 feet apart and you will install the pickets between the posts, measure the distance between the insides of two adjacent posts. Subtract the total area occupied by pickets from the total installation width. The result tells how much area you have leftover for spaces. The width of each space is 2 inches (rounded). The width of each space is 2 7/16 inches (see Tip below for conversion). Measure the width of each piece, and then add the desired space dimension to find the unit width. For this example, use 2-inch-wide balusters that must be spaced no more than 4 inches apart. 6 inches is the unit width. Measure the total width of the installation area. For example, if your railing posts are installed about 4 feet apart and you will install the balusters between the posts, measure the distance between the insides of two adjacent posts. Divide the total installation width by the unit width. The result gives you an estimate of how many balusters you will need. Because you can't have less than a whole unit (for even spacing), round up to the next whole number of units. Recalculate the unit width to find the width of each space. First, multiply the baluster width by the number of balusters to find the total area occupied by the balusters. Next, subtract the baluster area from the total installation width to find the total area occupied by spaces. Finally, divide the total width of the space area by the number of units. The width of each space is 3 5/8 inches (see Tip above for conversion). Recalculate again if you want to have a full space at both ends of the baluster section. The above calculation uses 8 full units consisting of one baluster and one space. However, if you want to have a space between each post and each outer baluster, you can recalculate using 7 balusters and 8 spaces. The width of each space is 3 7/8 inches.